Is the Surface Dial the Tool You Didn't Know You Needed? I'd like to think so. 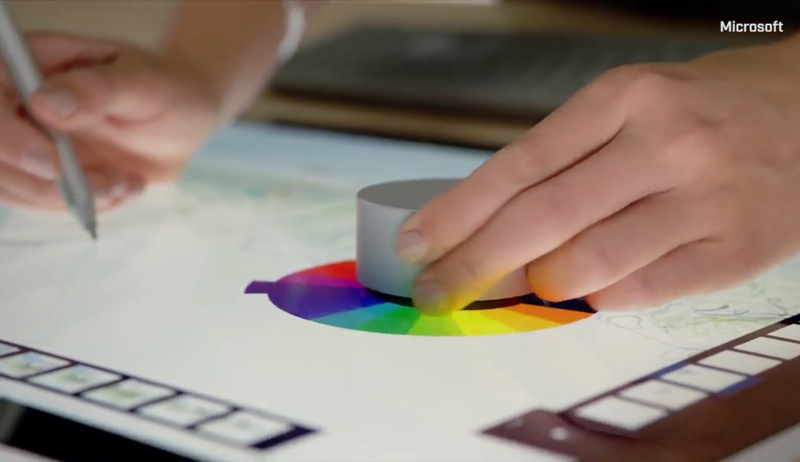 The new Surface Studio may have stolen the show at the Microsoft press conference, but what I'm most excited about is the new Surface Dial. Even though touchscreen devices have started taking over our lives and in many ways increased our mobile productivity, I'm still a big fan of tactile interfaces to help speed up the long hours of editing at my desk. The Surface Dial obviously isn't the first tactile creative device, B&H offers a variety of great options for use with most editing software. In fact, this is not the first dial-based device either. I used the Griffin Technology Powermate for video editing in Premiere for years. 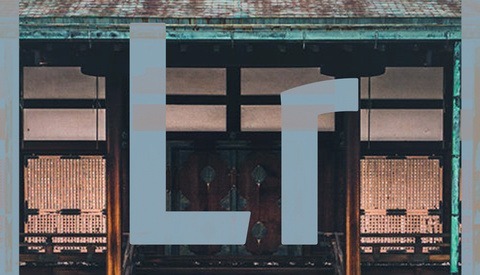 Unfortunately, for Windows use, it required software hacks and wasn't very useful for programs like Lightroom. Why is the new Surface Dial different? It's the first tactile device designed to interact directly with a touch surface, both increasing the possibilities for quickly switching between tools as well as maintaining eye contact with the screen itself. Even the new Touch Bar on the MacBook Pro will require you to look down away from your screen to manage. Mark Sullivan over at Fast Company recently sat down with Panos Panay, Microsoft's hardware chief, to get an in-depth look at both the new Surface Studio and Surface Dial. In his article, Sullivan explores how the Microsoft design team worked to redesign the desktop PC for the creative market, incorporating elements from the current Surface line of products as well as Microsoft's previous Table computer to create an all-in-one desktop device free of cluttered third party devices on your desk. This is something that really speaks to me. I have at least four or five devices on my desk to edit with at any given time, depending on if I'm working on stills or video. The combination of Dial and Studio PC definitely would clean up my desk of devices, but what I would really like to see is more integration with the Surface Pro line. Although the dial will work with Pro 3 and Pro 4, it doesn't sound like you can use it with the touchscreen interface. 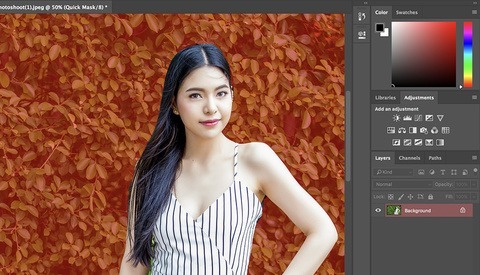 As of now, the Dial doesn't come with onscreen dial controls for Adobe software, but does have some built-in basic functions for apps like Photoshop. 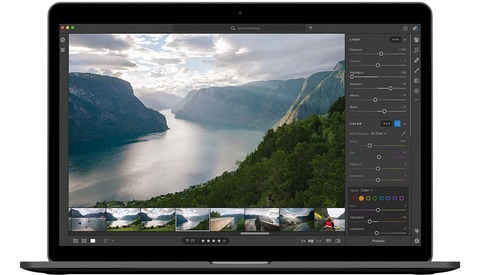 It's easy to see how in the future, companies like Adobe could develop these features for use with Lightroom sliders, Premiere scrubbing, and various other creative tools. What do you think? Is the Surface Dial the device you didn't know you needed or another gimmick? Let me know in the comments. Palette Gear as a current alternative? I have to agree! At first I thought it was a bit gimmicky, but after seeing it in action, and after hearing from numerous people who tried it in store, this thing is a truly innovative and USEFUL piece of equipment. I love how natural it is to our movement and how you can literally put it anywhere on or off the screen. I love how they made it compatible with Surface Book and Pro 4 and even Pro 3 as well! Smart decision on Microsofts part, its made me consider replacing my 2008 MacBook with the Surface Pro 4, not that the free XBOX One S has any bearing on my decision. On another note, I think direct contact with the screen is the future, I've always wanted one since the days of wacom cintiq but could not afford one at the time. I can't believe Apple thinks the touch bar is the way forward. Really cool device, curious as to how well it would work on the smaller Surface Pro screen. Would it just take up too much space, or would it still be just as useful. I could see a scenario where you have a Surface Pro attached to an external monitor, an use the Dial on the surface along with palettes etc to control whats happening on the monitor. Which brings me to... why don't they offer the Surface Studio as a standalone monitor as well! That would be a killer product, especially if you could run it from a Surface Pro or Book. Then you have a superb desktop experience and can take the show on the road too. It seems as of now the device wont work on screen with the Surface Pro or Books, but i cant imagine they wont update this later. I did have the same idea to use my Surface this way though. If Microsoft came out with a Studio Monitor only I would buy one instantly. I'm just not ready to give up my custom built PC's for an all in one no matter how amazing it is. At least theyre starting to bring back the features of the original surface. Remember those large coffee table with object detection (pixelsense)? Hopefully they dont kill it off again. The dial combined with hololens might be better than having to place the dial on a surface book screen though since thats wasting screen estate. I hope the wacom will bring that similar feature with software update on their tablet's dial. The problem Wacom will have is pricing... considering its just a screen they will have to be competitive. Heaven help them if Microsoft comes out with a screen only version, now that will truly be a 'cat among the pigeons'.